As is always the case in the month of May, at least since my children hit secondary school (middle school/high school), I am desperately behind in life! You’d think with all my natural ability to Martha-Stewart the heck out of things, I’d be better organised and ready for May each year…but sadly…no. I am always caught off guard. My excuse this year is that I took a quick side-trip to Las Vegas back in April to visit with friends and to attend a national conference for the oldest mother-daughter organisation in America called National Charity League, Inc. I had such a great time, learned loads, and loved the dancing, socialising, (ehem!) meetings. Here’s hoping someday NCL will be a global organisation: hint, hint…Ireland maybe? So, with May nearly over, I finally sat down at my computer to blog. What a surprise to discover that In an Irish Home has been nominated for a Leibster Award! Hmmm…maybe I should take more frequent breaks from writing?! Anyway, a big THANK YOU to the lovely Jovana Smith, “Jo”, over at The Inquisitive Writer for the nomination. I’m absolutely chuffed and I accept! But before I get on with the rules of being nominated for a Leibster Award, here’s a little bit about Jo: She lives in New Jersey and enjoys writing whenever the spirit moves her. Lately she’s been inspired to write about gardening, custom Lego building, Washi tape, and how to have a happier life. What I especially appreciate about Jo’s writing is that she’s 12! What?! I know, right! Amazing!! Kids these days have so many distractions (did I mentioned I have two…kids…not distractions). It’s really incredible when you meet a young person who is focusing their energy and creating something special. So hats off to Jo…and please go check out her blog when you can. So, what is a Leibster Award? 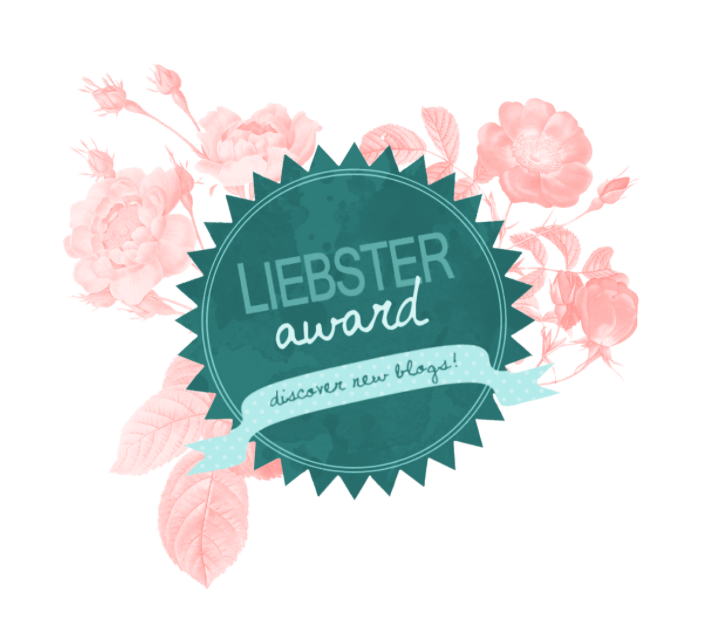 If you’re not familiar with it, a Liebster Award exists only on the internet and is given to bloggers by other bloggers. Its origin is unknown, but many believe it started in Germany. Liebster means: dearest, sweetheart, favourite, endearing in German. The award follows the principles of a chain letter in that it is given and then forwarded to others. It’s also seen as a marketing tool: a chance to promote not only your own blog but others too. The rules vary and are changing all the time, so in essence there really aren’t many rules. And, finally, the choice lies within the receiver to accept the Leibster Award and pay it forward or end it all together. Now, with all that out of the way…here we go…! 1. Would your change your name? If so, what would it be and why? Nope! Funny, I’ve thought about that question before and know, unequivocally, I like my name. 2. Do you believe in luck? If so, why? Kind of…I believe in luck and hard work. Why? I’m not sure…I just believe there are miracles out there. 3. Where would you prefer to live besides where you live now? Nowhere. I like splitting my time between Ireland and America. 4. What book or magazine are you reading currently? Just finished reading Kevin Kwan’s Crazy Rich Asians and am waiting for his next book China Rich Girlfriend to come out. 5. If you had another blog, what would it be about? DIYs? Cooking? Traveling? It would be an anonymous blog about raising kids. 6. Would you live in a tiny house? (aprox. 100-500 sq. ft) Absolutely! 7. Which decade are you most? (20s, 30s, 40s, 50s, 60s, 70s, 80s, 90s, 2000s, or 2010s) 1950’s. 8. What is your Zodiac sign? Libra. 9. Which time of day do you prefer most: morning light, daytime sun, a 7:00 p.m. sunset, or a full moon? Sunset. 10. If you had a chance, would you meet up with all of your readers (for your blog) for coffee? Maybe not all of them, but definitely some of them. 11. If you could go back in time, which period would you go back in and why? I’d probably go back to the mid-1800’s in America when the West was being settled. The freedom of the period is exciting and it also seems to be a very romantic time too. 2: When I’m under pressure, I don’t talk a lot. 3: I like being alone sometimes. 4: I’m a sunset girl, not a sunrise girl. 5: I’d love to be a race car driver. 6: I’m married to the best guy ever. 7: I love to read magazines. 8: I don’t like butter on my sandwiches. 9: I still believe in miracles. 10: I play the piano. 11: Some day, when I grow up, I’d love to do something that changes the world for the better. * Please be sure to link back to me so I can read your answers! 2. If you were to start another blog, what would it be? 3. Sweet or savoury, what’s your preference? 4. What’s your favourite dessert? 5. What’s your drink of choice? 6. What blogs do you read regularly? 7. If you could be anything (rock star, politician, doctor, parent)…what would you be? 8. Are you living to your potential? If so, how do you know? 9.) What’s one piece of advice you’d give your younger self? 11.) What do you think is the most important character trait? Thank you again Jo over at The Inquisitive Writer! And to all…happy writing! I liked your answers (especially the one a out the tiny house because I love them) ! Thank you so much for nominating us!